A new generation of scuba diving magazine. 164-page of pure awesomeness. 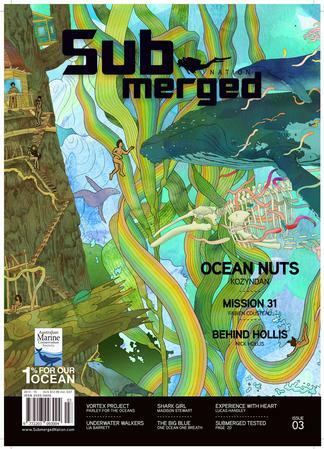 Submerged Nation is an annual magazine for scuba divers. This publication was started by a group of young, passionate, slightly ill-informed divers in Australia who set out to deliver a Scuba magazine that is different. Taking a fresh look on the sport. Submerged Nation is about creating positive change, respect and sustainability for our oceans. Great to see a Scuba Magazine that&apos;s different. Great stories, design, photos and expressing the diving culture and spirit. Submerged Nation is informative diving magazine covering many aspects of modern diving and equipment.